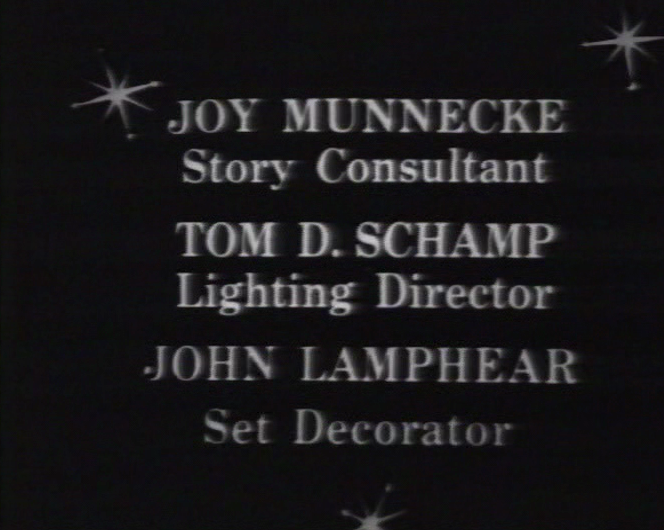 During the final two seasons of Playhouse 90, Joy Munnecke was a story consultant (and, more broadly, an all-purpose staffer) for the segments produced by Herbert Brodkin. 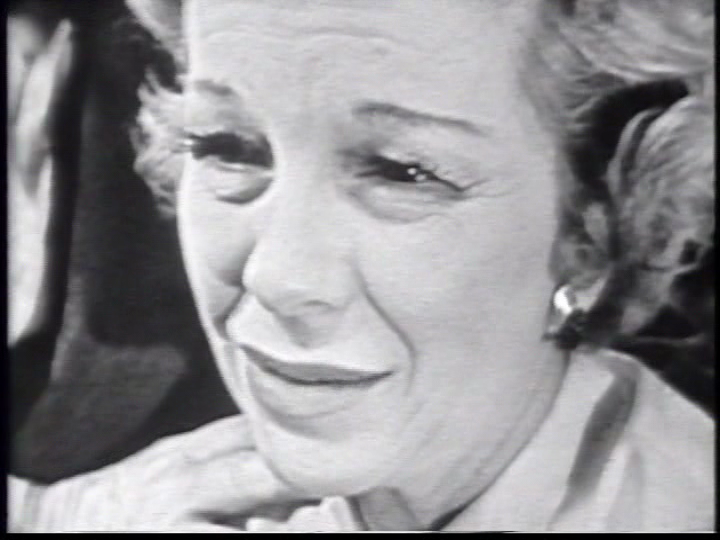 In a recent interview, Munnecke talked about working for Brodkin, the famous “Judgment at Nuremberg” censorship, and how women functioned in fifties television. How did you get started on Playhouse 90? At that time I had been working at Studio One, which transferred from New York to Hollywood. I was with Norman Felton’s unit. Norman and I both came from Herb Brodkin’s production company in New York. 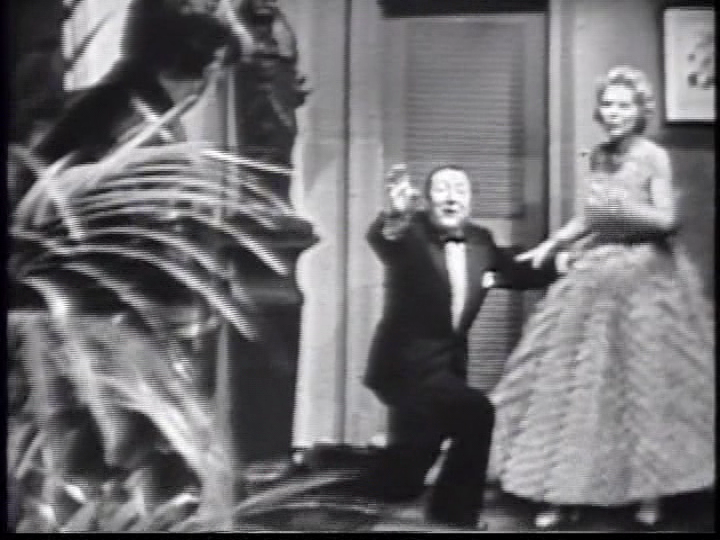 When Studio One went to Hollywood [in 1957], Herb did not want to go. I don’t know whether they asked him; I don’t think they did. But his second-in-command, Norman Felton, was going to go. When Studio One [went] on hiatus in the summer, Norman Felton took over, and many of the people, particularly the producers, took a vacation. So Norman Felton stepped up one notch, and [associate producer] Phil Barry went one notch and I went one notch. My notch was from secretary to assistant story editor. We did the summer ones, and then it went to Hollywood. When Herb Brodkin was asked to do [Playhouse 90], he pulled us all together again. 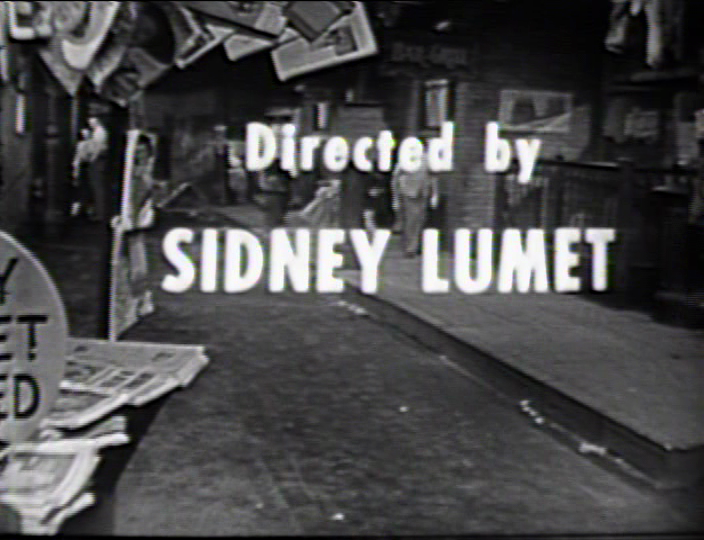 The first one I worked on was, I think, “The Velvet Alley,” which is 1958, I think it was. One of the things Herb did that I thought was very big and wonderful: In New York Herb Brodkin and a director by the name of Alex Segal. He was pretty much of a genius, but very hard to work for. I was a production assistant for him. When I say hard to work for – they yell at each other, you know, in the theatre sometimes. And it’s difficult. There were articles about Alex, because he was a very emotional director. He was doing The U.S. Steel Hour and Herb was doing The Elgin Hour. The rivalry was tremendous, because of how many people were tuning in, and who was getting which stars, and what were the budgets. They were very competitive. But in Playhouse 90, Herb, for the first time, asked Alex to come and direct one of the shows. Alex came and everything was fine, no problems. It was a lovely experience to see two people who had been such rivals growing up, as it were – saying, okay, we can do it together. How did the Playhouse 90 producers – Brodkin, John Houseman, Fred Coe, and to a lesser extent Peter Kortner – divide up the episodes? The four producers didn’t work together. They had different offices, different staff, and so forth. Our offices were right next to Fred Coe’s unit, so you’d kind of overlap. You knew people. But we were really kind of competitive about who’s got a better script, and who knows which writer, and that sort of thing. From September to October, four weeks, would be one producer [staging episodes], and then another producer would do four, or three. But they all were working at the same time. While one of us was in rehearsal, the other was looking for scripts, and working with the writers or whatever. So you had time to really prepare the things, and I think that’s one of the reasons why Playhouse 90 was so good. It’s as though it was a Broadway opening every Thursday night. You did quite a bit of preparatory work. What were your duties? You were a story editor? Mostly my credit was “story consultant.” I looked for scripts, [and] to find ideas for plays. Anything that was submitted would come first to me, except of course for writers who were known to the producer. When an idea or a story came, it would have to be synopsized and sent to the network executives, who would look at it and see whether they felt this was a good idea. It would have to pass by them. Then it would go into a first draft, a second draft, and whatever. I would be part of the whole situation in the story development, from the idea to the end of it. In a way, it was a kind of selling of the idea to the network so that they wouldn’t get upset about things. There were some stories that they never wanted to touch, and those were all because of economic reasons. For example, the southern states would not want to see anything that would have too many people who were black, or whatever. So you had all those things to try to get through the network. Backing up for a moment, how did you first come to work for Herbert Brodkin in New York? I started in the news department at ABC as a gofer, sort of. But I did want to go with a dramatic show, because that was my training in school. The Elgin Watch company wanted to have a show, and Herb Brodkin was going to be the producer. I said, “Well, I’d like, really, to leave news.” I was there when they did the Army-McCarthy hearings. That was a very exciting time. What were you doing during the hearings? When I was working there, like anybody just out college, I just wanted to work on a show. The only show that they wanted to put me into was Walter Winchell’s show, and I would just be in there on a Sunday afternoon for the broadcast. But I got to know the different people, and I became the secretary of the head of special events, John Madigan. He had been in radio news. This was in 1953, and they were putting a lot of people from radio into television. The secretaries in the programming department had a little earphone on their desk, and you were expected to listen in on all the conversations so that you knew what was going on all the time. If [the newsmen] had to know something on the telephone, you’d slip [them] a little paper and say “This is what that is.” Anyway, I kept getting telephone calls, and Madigan kept saying, “No, I won’t talk to this man.” It was Roy Cohn, the right-hand man of Senator McCarthy. He wanted very much to get some publicity. John Madigan said, “No. Just keep telling him no until I say go. Then I’ll take the call.” So the time came when he knew it was right to get the network to cover the hearings. In those days, one of the three major networks would take the pool, and they took all the equipment to save everything duplicating. ABC did the whole Army-McCarthy hearings out of their 7 West 66th office, which had been a riding academy. So I would go through the whole production experience that way, starting with sometimes looking for material and thinking about who might be the good writer to write it. You see, by coming through the assistant way of being a secretary to someone, you knew what sort of thing they wanted to do. Herbert Brodkin was particularly interested in doing a lot of things from the holocaust. And of course I was aware of “Judgment at Nuremberg” from the very beginning. The story idea was from Herb Brodkin to [writer] Abby Mann. Really? It originated with Brodkin rather than Abby Mann? Yes. That was really an assignment. I think they just sort of talked about it. I can remember that we just called it “the Nuremberg trials story.” Those things happened that way. Why was Brodkin interested in the holocaust, particularly? He was Jewish, and I think he just felt that it should be understood and people should be aware of this, and not just push it under the rug. He was a very sensitive and very bright man, and very difficult to work with, because he didn’t have any patience with superficial nonsense, if you know what I mean. I think it was part of his integrity. Integrity was a very important word with him. I mean, there was still a great deal of anti-semitism in the country, and he felt that he wanted people to realize that it was pretty horrible in its extreme. What do you recall about the famous incident of muting the references to the gas chambers? We knew that this would be trouble. Brodkin said, “I don’t care. This story should be told as it is, and if we move people, it’s good. It’s not bad.” And I don’t think anybody really thought it through that The Gas Company was our sponsor. What was the nature of the objections raised by the sponsor? My feeling about it is that it probably [would have been] a much simpler thing to have done it on a week when The Gas Company wasn’t the sponsor. But Herb just said to do it anyway. That’s your problem whether it’s The Gas Company, was his point [with CBS]. So as it happened, at the last minute, it was the network that did it, that took out the word. Which was stupid, you know. But on the other hand, I think if anybody wanted to make a splash, they certainly did! Yes, exactly that. It just called attention to it. And I don’t think the artistic people minded a bit to get the publicity for it. What was Brodkin’s reaction to the outcome? That it was just the commercial instincts overshadowing the artistic, and he was quite furious with it. He had many arguments with these people, and he wasn’t too diplomatic about things. But he was, as I say, he was always fighting for the integrity of the artists. Were there any Playhouse 90s that you would personally take some credit for having developed? Yes, I do remember one particularly. The short story “Tomorrow,” by Faulkner, came to my attention [from] someone in the story department, and I read it and I said, “How about Horton Foote?” That was a successful one, and it became a very good film [in 1972]. Before that time, Horton Foote had done one or two shows for Herb, but he worked mostly with the Fred Coe unit. Which of the major live TV writers do you associate with Brodkin? Reginald Rose. Do you know [Rose’s Alcoa Hour script] “Tragedy in a Temporary Town”? That is the first time they ever said “goddamn” on television. And that was a horrible problem for me, because I had to answer 2,000 letters from people! Well, Herb said, “Let’s just not tell anybody that it was because the stick broke, but just say that he was upset because of [the content of] the script.” We had to have the star and the script have some basis for swearing on television. So Brodkin could take a controversy like that and spin it to his advantage. Yes. It was a question of survival. There was a Jewish group in New York called the Anti-Defamation League of the B’nai B’rith, and they gave an award to people who were [fighting] prejudice. It was a nice monetary award. It was given in June, and we were on hiatus, but I was still working in the office. I was asked to go to the luncheon and pick up these $5,000 checks for the three people involved in the production of “Tragedy of a Temporary Town.” The producer [Brodkin] was in his summer home, and I sent his to him, and the other ones were for the writer and the director: Reginald Rose and Sidney Lumet. So after the luncheon I took the check down to Greenwich Village, where they were in a film studio. As I came in, the bell rang for silence, and I said, “Oh, I’m going to get out,” and Reggie said, “No, no, no. Stand here. You’re bringing us these checks – this is good luck! We’re doing our very first scene in our very first film.” And it was Henry Fonda opening the window in 12 Angry Men. Were one of the only woman on Herbert Brodkin’s creative staff? No, Joan MacDonald was the casting director. She was outstanding. Probably my mentor in many ways. And there were a lot more. Women were very welcome in television. Herb was the same with women or men. Maybe a woman wouldn’t be thought of for a technical job so much or anything, but that was very prevalent in that period. I mean, it wasn’t quite like the way it is in Mad Men. I did work in advertising, where [sexism] was more prevalent, as it is in the series. You mean it’s more sexist in Mad Men than what you experienced? Yes. Advertising was more like that, but I didn’t feel that in broadcasting – there were women there. There were women who were assistant directors. Particularly at ABC. That was kind of the tag-along network at that time. They were a little more informal. I remember I said to Norman Felton, “I’d like to go to Hollywood. I think that’s where television’s going to be.” He asked, “Well, would you like to be the story editor with Studio One in Hollywood?” I said, “Yes, I would.” I didn’t know what [salary] to ask; I didn’t have an agent. So I went to Herb Brodkin and I said, “Norman asked me what I’d like to have in compensation.” Herb said, “Don’t ask for more money. You don’t have any leverage for anything like that. Just ask for a credit.” So I [asked for] the assistant editor credit. Then when I worked for Norman and Herb wanted me back to work on Playhouse 90, I went to Norman and he told me what to ask for for compensation. So they kind of told me how to bargain [with each other], as you do in business to go up a notch. That was sort of the way people were helpful to one another. Were you treated as an equal by the men? By the writers you were working with, in particular? Reginald Rose was so close to Herb, I didn’t have any input with anything he did. In my experience with Regigie, it was just making things pleasant in the office, and [making certain] that everybody knew what was going on, and that sort of thing. But it wasn’t that I could touch his scripts. So I was just in the group to get the coffee and do whatever was necessary. I wouldn’t have presumed to say, “You’ve got a weak second act” or something like that. With a more junior writer, like Mayo Simon or Loring Mandel, would you behave differently? Yes, they would come and maybe tell me a little bit of their problems. The only thing about creative people that I felt that I could do was to make it comfortable for them, in an intellectual way. Like a book editor would be. You’re not going to write the book for them, but you might say, “I don’t know about that thing.” But these people knew what they were doing, usually. Did you ever work with Rod Serling? That’s one of my favorite memories. When I first was assigned to The Elgin Hour, there was a girl who was working on the thing, and she said, “Oh, some of these people are horrible, hard to work with, these writers, they’re awful!” And she said, “But, oh, it’s interesting, there’s this one guy. He’s awfully nice. Can’t write a thing. But he’s so nice, you just wouldn’t realize he’s a writer! You just have to remember, just don’t put a ‘t’ in his name. It’s not Sterling, it’s Serling.” I often think of that when people say all artists are temperamental. He was one of the nicest people you would ever want to know. Just a regular sort of person who knew everybody’s name and talked to everybody. What happened when Playhouse 90 ended? It didn’t end with a bang but with a whimper. Brodkin went back to New York and he was going to do The Nurses and The Defenders. He asked me to go back to New York and work on the show, but I didn’t want to. I wanted to stay in California. I was still under contract to CBS, to work with the story people. John Houseman came in to do a show, and some other people were doing shows. One of the things I would do at the end is, they would have one of the actors come and have a little spiel about the next week’s show, and I’d have to write that. What did you do after you left CBS? I had the most horrible time, because you can’t go from the palace, as it were, to start working in something else. So I got married [to CBS executive Charles Schnebel]! I worked for a short while at PBS, as a kind of assistant producer, and again in the news department at KCET here in California. But I never did find a niche in television again, because I think I was really quite spoiled to work on those dramatic shows. People would say, “We don’t do the anthology type shows any more,” and they didn’t trust me for a series, because it was an entirely different thing. It was a fascinating and stimulating place to be, and I didn’t realize it at the time, I don’t think. Studio One occupies so much real estate in the history of television that it’s difficult to know how to even begin to survey it. A dramatic anthology, especially a long-running one, is like the proverbial elephant: every piece of it you lay a hand on is different from any other. Studio One broadcast nearly five hundred shows over ten seasons, from 1948 to 1958, and inevitably it ran the full technological and creative gamut of live television. That’s why Koch Vision’s exceptionally well curated Studio One Anthology is so valuable. The seventeen shows in this expensive but essential DVD collection give viewers a far better sense of the achievements and the limitations specific to Studio One than any written account of the series could. Up to now, many of the Studio Ones that have circulated in private collections and public domain video releases came from what I think of as the show’s least interesting period – the early years in which almost every teleplay was an adaptation of a work from some other medium. The emblematic Studio One segment among many TV fans is, I fear, a deadly dull Cliff Notes cut-down of The Taming of the Shrew or Wuthering Heights starring a stiff Charlton Heston (the only member of the show’s initial repertory to become a major star). But the DVD set focuses primarily on what the so-called Golden Age of television did best: the original, personal dramas by young writers who were looking for ways to introduce contemporary concerns into the new medium. There are two episodes apiece by Rod Serling and Gore Vidal. Reginald Rose, the only important live TV playwright who was chiefly associated with Studio One, is properly represented by a whopping five shows. A great deal has been written about cultural milestones like Serling’s “The Arena” and Rose’s Emmy-winning “Twelve Angry Men” (thought lost until a full kinescope was discovered in a private collection in 2003), but until now they have been impossible to see outside of museums. The Studio One Anthology may well be the classic television event of the year. Of the live shows, Philco and Studio One were considered to be the class acts. When Robert Montgomery [Presents] went on the air, it joined that group. Kraft was not in that group, with the exception of a few shows. The Alcoa Hour and Pulitzer Prize Playhouse did quality shows, but they didn’t last long. Playhouse 90 came later. Hallmark was the class of the class, but they were not on a weekly basis.
. . . what made Studio One an attraction was the sense of adventure that Tony Miner brought to that show in terms of challenging the limitations of doing television programs live inside a studio. His insistence on exploring the possibilities for staging in terms of depth made Studio One markedly different from Philco, The U.S. Steel Hour, and Kraft. Everything that I know visually came out of that experience with Tony Miner. Without disputing the accuracy and importance of any of that, I want to take away some of the credit that historians have conveyed upon Miner and award it instead to his most important successor, Felix Jackson. Jackson took the reigns of Studio One fifteen months after Miner’s departure in spring 1952 (due to a contract dispute with CBS, according to Larry James Gianakos’ helpful DVD liner notes). A German screenwriter who fled the Nazis during the thirties, Jackson became a Hollywood producer, chiefly at Universal Pictures, where he made seven Deanna Durbin musicals – and then married his star. Eventually Jackson’s Hollywood career, and his union with Durbin, derailed and in the fall of 1953 he began a three-year stint as the producer of Studio One, overseeing what I believe is the anthology’s most fertile period. Jackson understood this. He and the CBS staffer who became his story editor, a colorful former movie actress named Florence Britton, raided Philco and Kraft for fresh material by star writers like Tad Mosel, Alvin Sapinsley, and A. J. Russell. They groomed young discoveries of their own (among them Frank D. Gilroy and Paul Monash), and promoted some Studio One standbys, including Reginald Rose, from adaptations to originals. Jackson may have been following the trend rather than setting it, but the results were impressive. The biggest question surrounding the Studio One Anthology may be what modern audiences will make of Studio One‘s behind-the-typewriter star, Reginald Rose. I suspect he might be a hard sell. Horton Foote and Paddy Chayefsky wrote from the heart; their plays are character-driven and emotional, and as such timeless. Reginald Rose wrote from the head: almost everything was an allegory, an intellectual idea or a political point, fictionalized once over lightly. The pitfalls of stridency and pedagogy loomed, and Rose was not always so nimble as to avoid them. “In a way, almost everything I wrote in the fifties was about McCarthy,” Rose once said. Indeed. The key Rose segments here are his first original, “The Remarkable Incident at Carson Corners,” and “An Almanac of Liberty,” studies of intolerance similar enough to one another to invite questions of self-plagiarism. They are almost Marxist in their decentralization of authority. Neither has a single protagonist; they divide their focus instead among large ensembles of small-town archetypes. Both utilize the narrative device of the mock trial. “Carson Corners” has schoolchildren and then their parents crucifying a janitor for a boy’s fatal fall from a damaged staircase, only to realize that the culpability was collective. “Almanac,” ostensibly based on a nonfiction book of the same name by then-supreme court justice William O. Douglas, but in fact an original work synergized for cross-promotion, is a study of scapegoating. Citizens at a town meeting righteously parse the causes of an outsider’s savage beating, finally discerning that the ugliness of a few lies within all. These democracy-in-action impulses came to an apex in “Twelve Angry Men,” that oft-remade, multi-media civics lesson that remains Rose’s epitaph. 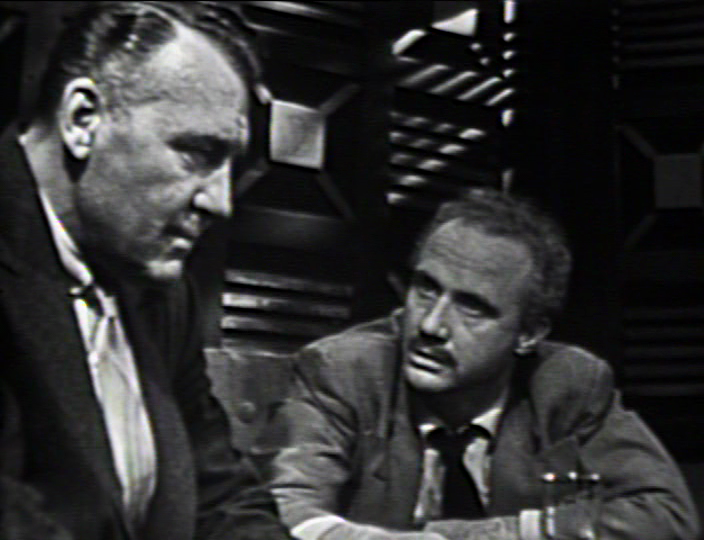 At only an hour, and with colorless Robert Cummings rather than magisterial Henry Fonda as the instigator of dissent, the television version plays more as a group dialectic on jurisprudence than as a lone hero’s courageous stand against the mob. It’s hard for me to separate my reactions to “Twelve Angry Men”‘s Studio One blueprint from my admiration for Sidney Lumet’s film of three years later. More often than not big-screen treatment diluted the impact of live TV material (see Marty or The Days of Wine and Roses), but I think Rose’s screenplay enriched his original considerably. With an extra half hour, everyone gets a fair share of the spotlight. It’s a shock to realize that some of the feature’s more vivid jurors – mainly Robert Webber’s fatuous ad man (“Throw it on the stoop and see if the cat licks it up!”), a cherished figure of Rosean ridicule – are mere placeholders in the original. Whatever their flaws, these shows illustrate Rose’s conviction that rationalism and communication can affect positive change. That sounds dry, but in each of these three plays there is emotional catharsis when Rose’s characters reach common ground at the conclusion. The problem is that Rose seemed unable to move beyond this representational mode. The samples here of his non-allegorical work – that is to say, Rose’s more ostensibly character-driven shows – are fairly disastrous. 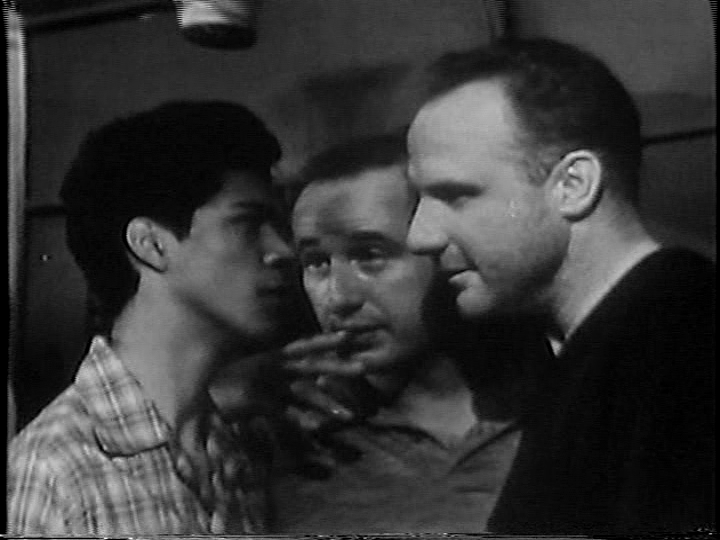 “Dino,” an earnest take on the juvenile delinquency problem with nuanced performances from Sal Mineo and an atypically restrained Ralph Meeker, languishes in self-congratulatory liberalism. “The Death and Life of Larry Benson” builds to a second-act shocker: a quintessential mid-American family anticipates the return of its veteran son, only to be greeted at the train station by a stranger. It’s Rose’s most intimate early work, and yet his coldest. Pseudo-Larry and his would-be family have no inner lives; they exist only to illustrate a half-baked yin-yang conceit that one man’s life is as good as another. Had Rose articulated his idea more clearly, it might have offended someone. It may be fair to say that Rose did not find his voice until The Defenders, which liberated him from both allegory and interiority. The legal procedural format enabled Rose to retire his mock trials and orchestrate real ones. Here was a venue wherein his characters had to articulate their feelings, or die. 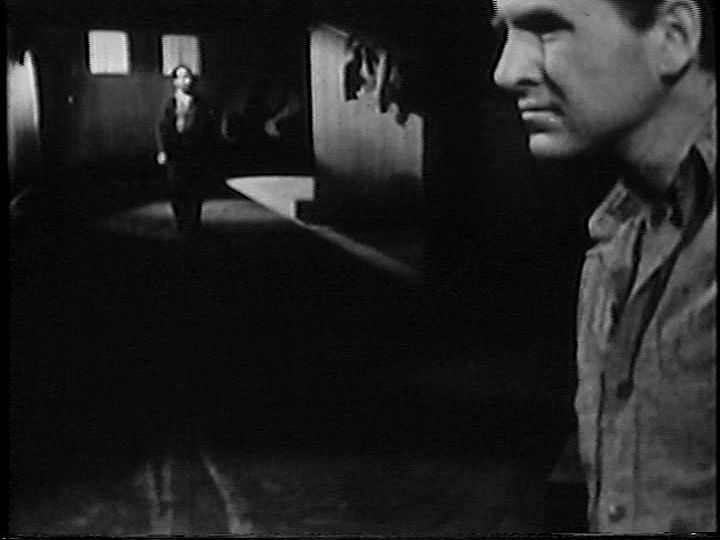 Strip the credits off “An Almanac of Liberty” and you’d guess it was a Rod Serling work, because it deploys The Twilight Zone‘s raison d’etre of couching social critique within science fiction. 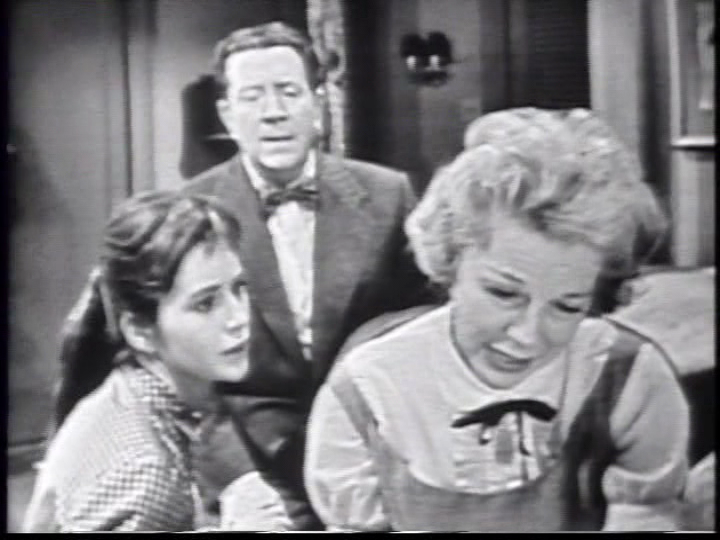 “Almanac” incorporates an explicitly paranormal event, an unexplained stoppage of time – wristwatches quit working and people outside the town hall freeze in their tracks – and it’s implied that the victimized stranger (Sandy Kenyon) may be an alien, or a Christ figure, sent to test the mettle of the human race. Rose’s very first teleplay, “The Bus to Nowhere” (for Out There), was also science fiction, but he doesn’t seem terribly engaged by the elements of fantasy in “Almanac”; they’re scalpels on his surgeon’s tray. Recall that Serling was around and paying attention – he was fond enough of one of Rose’s Studio Ones (“The Incredible World of Horace Ford”) to have it filmed for The Twilight Zone – and it becomes reasonable to think of “The Monsters Are Due on Maple Street” and “The Eye of the Beholder” as touchdowns scored with a ball that Rose tossed to him. Though Rod Serling wrote his most important teleplays for other anthologies (mainly Kraft, U. S. Steel, and Playhouse 90), even minor Serling compels attention. The two shows on display here bookend “Patterns,” the 1955 Kraft that put Serling on the map, but it’s the earlier of the two that is the most successful. “The Strike” is a Korean War drama about an outwardly tough officer who crumbles when he realizes that the only way to save his platoon is to order an airstrike that will wipe out a small patrol of his own men. Major Gaylord is a classic Serling white-knuckle character, a nervous man in a snowy Korean pass, and his utter collapse into self-doubt and then self-pity is mesmerizing. 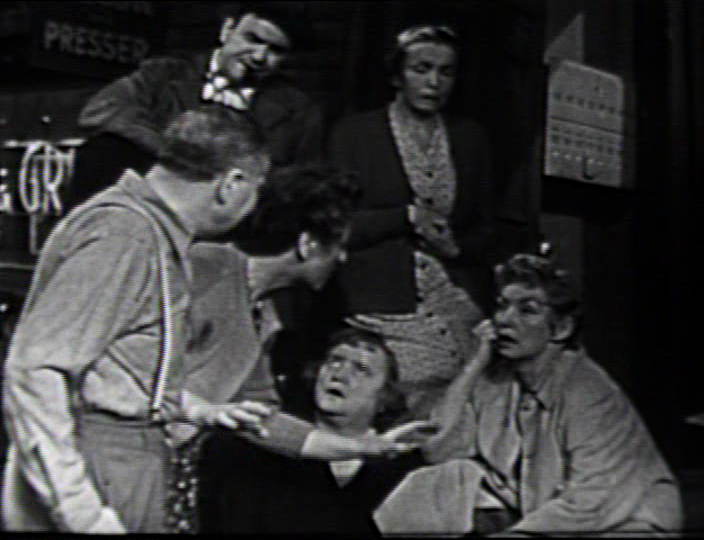 James Daly, as Gaylord, offers the DVD set’s quintessential live TV performance. 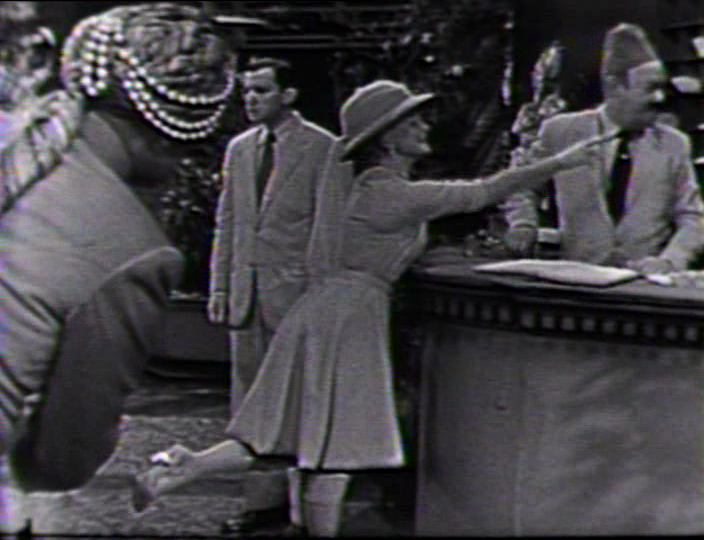 Acting for live television combined the trickiest elements of theater and film – a performer had to deliver a fully realized characterization in real time, but scaled down for the camera that was often only inches from his or her face. 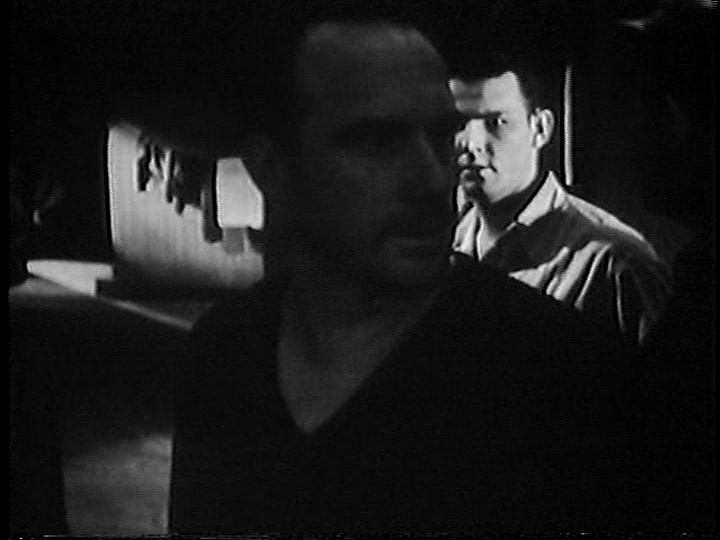 There are many good actors in the casts of these seventeen Studio Ones, but watch Daly: he’s one of the few whose performance is as precisely modulated as anything he ever did for a film camera. 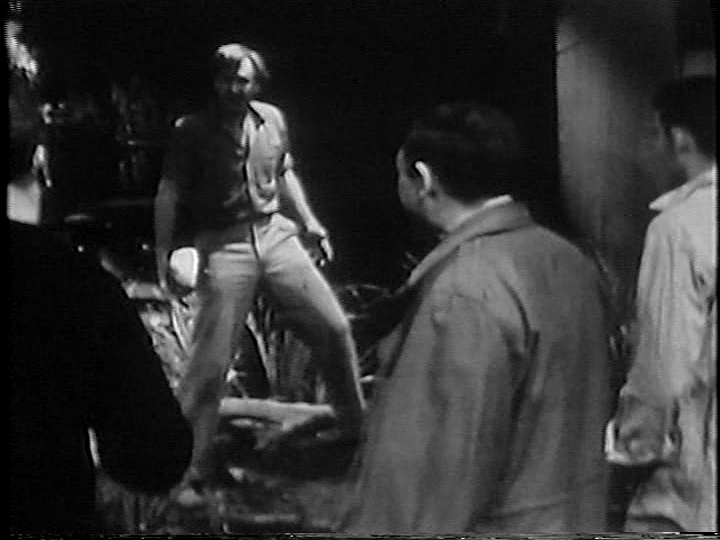 “The Strike”‘s finale, its Solomonic dilemma a foregone conclusion, is a bit too schematic, and it will seem heavy-handed and academic to anyone who has seen Sam Fuller’s unsentimental combat films. Putting the young Serling up against Fuller may be unfair (even though Serling was a combat veteran, too), but the comparison comes naturally in that “The Strike” bears a strong physical resemblance to Fuller’s early masterpiece Fixed Bayonets! That film, also a study of wartime cowardice, occupies a similarly claustrophobic setting, a wintry mountain cavern and the ridge immediately outside of it. I can’t imagine that someone – Serling, director Franklin Schaffner, or the production designer – didn’t recall the Fuller film while putting “The Strike” together. The second Serling episode, “The Arena,” takes the U.S. Congress as its setting, but the political trappings are window dressing for an Oedipal drama of a freshman senator (Wendell Corey, too old for the role) finally stepping out of his domineering, monstrous father’s shadow. I can’t help but think of it as a poor man’s predecessor to Gore Vidal’s The Best Man, the play and later film (directed by Studio One‘s Schaffner) that offered a less naive vision of the professional ethics of politicians. Vidal may be the major discovery of the Studio One Anthology. Vidal was the last of the major TV playwrights to emerge; he turned from a stalled career as a novelist to the live anthologies in 1954, after “Marty,” and his work received considerable attention as the trade papers and the mainstream press wondered who would be the next Paddy Chayefsky. As with Serling, Vidal’s best-known TV plays – “Visit to a Small Planet” and “The Death of Billy the Kid,” later filmed as The Left-Handed Gun – aired elsewhere, but the two Studio One originals on display here offer ample evidence of the then twentysomething Vidal’s talent. “Dark Possession,” skillfully evoking a frosty turn-of-the-century setting, begins as a melodrama of emotional repression and, with the entry of handsome doctor-turned-amateur sleuth Leslie Nielsen, morphs nimbly into a sort of medical mystery. “Summer Pavilion,” a contemporary story that Vidal writes was “based pretty much on my own life and times,” also nails its milieu in a few brush strokes, a changing New Orleans in which Southern aristocrats are being literally bulldozed by progress. I have to wonder what Vidal, a cousin of Al Gore, meant exactly by that tantalizing remark: is the manipulative matriarch who makes a last futile stand against change, essayed to perfection by fading movie star Miriam Hopkins, a figure from his family history? Or is the touching story of love blooming between Southern belle (radiant Elizabeth Montgomery) and Yankee (wooden Charles Drake) a bit of gender-switched autobiography, a plea for the pursuit of romance in defiance of convention? 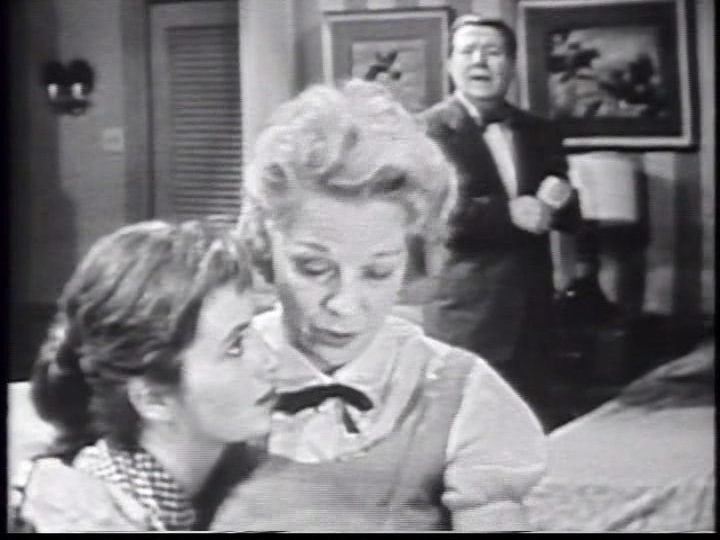 In any case, though there’s no kitchen sink in sight, “Summer Pavilion” is the DVD set’s most emblematic example of live television, a delicate flower that would have crumbled had it been projected onto a sixty-foot screen or bellowed from a Broadway stage. There are other riches here that I hardly have room for: “June Moon,” the highlight of the five Miner-produced episodes, a sprightly comedy starring the barely-out-of-diapers Jack Lemmon and Eva Marie Saint; Felix Jackson’s battering-down-the-door debut, a sweeping adaptation of “1984” that was the basis for the 1956 film; and “Confessions of a Nervous Man,” a twisty, self-reflexive, hilarious bit of self-promotion in which newly lauded playwright George Axelrod (played both by himself and by Art Carney) demonstrates exactly how his smash Broadway hit, The Seven-Year Itch, has ruined his life. Even more than “Twelve Angry Men,” this is the DVD collection’s prize for cinephiles, because “Confessions” is loaded with the same brand of fast-paced, cartoon-styled humor and cynical, up-to-the-minute media satire that made the extraordinary Frank Tashlin film of Axelrod’s next play, Will Success Spoil Rock Hunter?, one of the best American (and one of the most American) movies of the fifties. It goes without saying that further volumes of Studio One DVDs would be welcome. Curiously, in the liner notes, Larry James Gianakos takes care to list the insignificant interim Studio One producers who came after Worthington Miner, but he omits the men who followed Felix Jackson’s departure in 1956. The first of them, Robert Herridge, was a champion of quality television so far ahead of his time that he worked mainly in the dead zone of non-commercial Sunday programming offered to keep the FCC off the networks’ back. As a substitute producer during the 1956 summer edition of Studio One, Herridge did some of his best (or at least most mainstream) work. 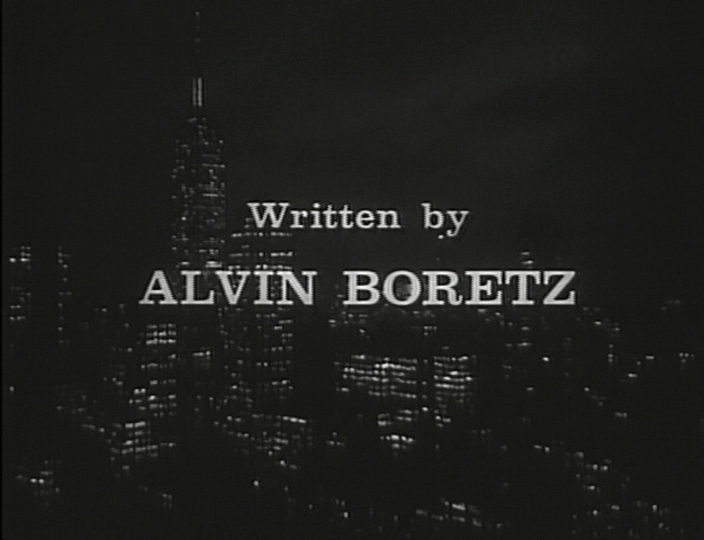 During the final two seasons, other notable names took a turn at the helm: Gordon Duff, who had succeeded Fred Coe on Philco; Norman Felton, later executive producer of Dr. Kildare and The Man From UNCLE; and Herbert Brodkin. Brodkin, of course, was the man who teamed with Reginald Rose to produce The Defenders, a show that had its origins in one of the most famous Studio Ones, Rose’s two-part “The Defender,” with William Shatner and Steve McQueen. “The Defender” is available on DVD (although not in the Koch collection), but few of the other Studio Ones from the final two seasons – during which the show reached its technical peak, and moved from New York to CBS’s Television City facility in Los Angeles – have been seen since their initial transmission. I suspect there’s an unmined vein of the Golden Age there, and I hope Koch has the commitment to tap it. Endnotes: The Franklin Schaffner quote is from The Days of Live, Ira Skutch, ed. (Scarecrow, 1998), page 50; the Delbert Mann and Reginald Rose quotes are from Jeff Kisseloff’s The Box (Penguin, 1995), pages 235 and 238, respectively; the Gore Vidal quote is from a short essay by Vidal in the Studio One Anthology liner notes. Stay tuned for more Studio One coverage later this month, featuring comments from some of the series’ surviving participants.